AAPS Group Rate $109/night. Reservation cut-off March 14. Join your fellow AAPS colleagues and the AAPS Board of Directors for a reception, briefing, and dinner on the evening of April 6. 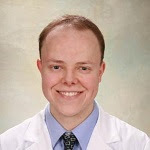 Kevin Wacasey, MD – Author. Health care humorist. Medical satirist. Disruptor. Cash and Out-of-Network Options for Physicians and Patients Fleeing ACA and other Failing Government Programs. Dinner Welcome: AAPS Initiatives to Protect Private Medicine. Wrap-Up and Update on AAPS Legal Actions Protecting Independent Physicians.